They are not necessarily deadly poisonous, but even milder symptoms can be unpleasant, even frightening, so a bit of forewarning and knowledge may prevent a nasty surprise. To this end, I have written a series of articles about poisonous plants, with photographs to help you to identify them. You might be shocked to learn how our pretty little friends can have such treacherous characteristics. Is She Hallucinating Or Merely Experiencing Something We Can't See? Aconite is a well-known poison, but did you know that those beautiful flowering plants, Morning Glory and Lupin are also poisonous plants? The problem is, most people simply don't know enough about poisonous plants, even though they may be handling them regularly in the garden. And why would they know, if they haven't been taught at school? 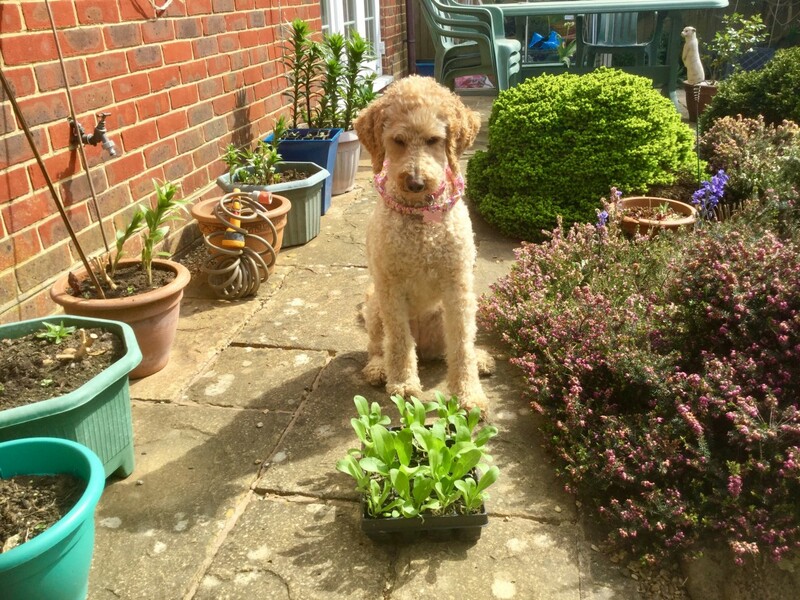 Should plant suppliers take more responsibility for educating gardeners, maybe putting warning labels on plant pots? Is this something schools should be teaching, along with morality, science and nutrition? Perhaps there could be poisonous plant charts in doctors' surgeries, pharmacies and garden centres. Now that I've had that thought, maybe I should take it further. 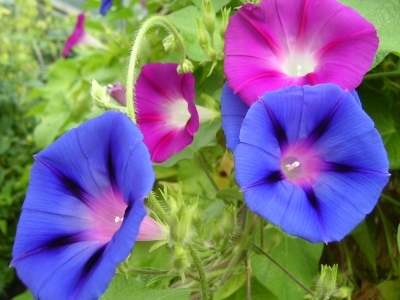 Morning Glory (Ipomoea ssp) is in the same family as bindweed and sweet potato vines. They all contain toxic indole alkaloids. The entire plant contains LSD-related hallucinogens and may contain toxic levels of nitrates. Poisonous Parts: Seeds or skin contact with sap. Symptoms: Hallucinations, dilated pupils, nausea, vomiting, diarrhoea, drowsiness, numbness of extremities, headache and muscle tightness. I have researched copiously and have not found any instances of fatal poisoning. Rather more research turned up the fact that it is a hallucinogen similar to LSD used in Shamanic rituals and generally by the indiginous Americans. 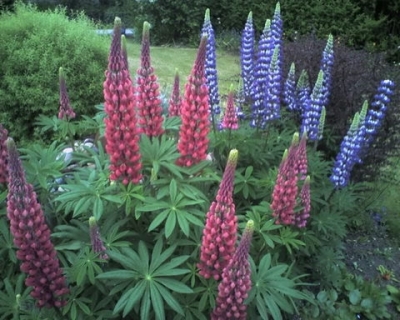 Lupin poisoning affects people who eat incorrectly prepared lupin beans. Lupin bean poisoning is uncommon and medics may not recognize it. White Lupin beans closely resemble fava and lima beans and may be confused with a new variety of these by people who are not from the cultures familiar with traditional lupini preparation methods that ensure safety and minimize bitterness. Improper preparation of bitter lupini with insufficient soaking allows pharmacologically significant amounts of anticholinergic alkaloids to remain in the beans, and poisoning symptoms result.Some people like bitter herbs and may mistakenly prepare and eat lupini without enough soaking if they have not learned of its unique preparation requirements. Symptoms: Symptoms of lupin bean poisoning (from excess alkaloid in cooked food) include dilated unresponsive pupils, blurry vision, confusion, slowed thought and disorientation, flushed face and/or fever, palpitations,high heart rate and blood pressure, tremors, difficulty with or slurred speech, un-coordination, dizziness, burning dry mouth, stomach pain, and anxiety or "malaise". Aconites are very ornamental, hardy perennial plants and will grow in the shade of trees. They are easily propagated by divisions of the root or by seeds; care should be taken not to leave pieces of the root where livestock might be poisoned. Aconite roots are extremely toxic. Several species of Aconitum have been used as arrow poisons for hunting and warfare. If the leaves are picked without wearing gloves, the aconite toxin in the sap oozing from the picked leaves is absorbed easily through the skin causing cardiac symptoms for a couple of hours. Aconite is often used in traditional Chinese and Indian medicines as an analgesic or an anti-inflammatory agent. It has also been used to treat pains, agitation and indigestion. If applied to the skin or to a mucous membrane, aconite first stimulates and later paralyses or numbs the nerves to the sensations of pain, touch, and temperature; the initial tingling therefore gives place to a long-continued anaesthetic action. Great caution is required, as skin with abrasions could absorb a dangerous dose of the drug, and merely tasting some of the concentrated preparations available could be fatal. At least eleven alkaloids in aconite with varying potency and stability are responsible for the local anaesthesia of peripheral nerves. Symptoms appear quickly following the ingestion of a poisonous dose of aconite, starting with nausea, vomiting, and diarrhoea. These are followed by a sensation of burning, tingling, and numbness in the mouth and face, and of burning in the abdomen. In severe poisoning, pronounced motor weakness occurs and sensations of tingling and numbness spread to the limbs. Cardiovascular features include hypotension, bradycardia, sinus tachycardia, and ventricular arrhythmias. Other features may include sweating, dizziness, difficulty in breathing, headache, and confusion. The main causes of death are irregular heartbeat and asystole. If the poison has been absorbed through the skin, tingling will start at the point of absorption and extend up the arm to the shoulder, followed by unpleasant numbness after which the heart will start to be affected. .
All patients require close monitoring of blood pressure and cardiac rhythm. Gastrointestinal decontamination with activated charcoal can be used if given within 1 hour of ingestion. The major physiological antidote is atropine, which is used to treat bradycardia. Other drugs are also used for ventricular arrhythmia. Cardiopulmonary bypass is sometimes used. Successful use of charcoal hemoperfusion has been claimed in patients with severe aconite poisoning. Treatment of absorption of aconite through the skin is similar to the treatment for poisoning caused by oral ingestion. :In January 2009, the British 'Curry Poison Killer' Lakhvir Singh, killed her lover Lakhvinder Cheema with a curry dish laced with Indian Aconite. On 11 February 2010 she was sentenced to life imprisonment with a minimum term of 23 years for the murder. How Well DoYou Know Your History? 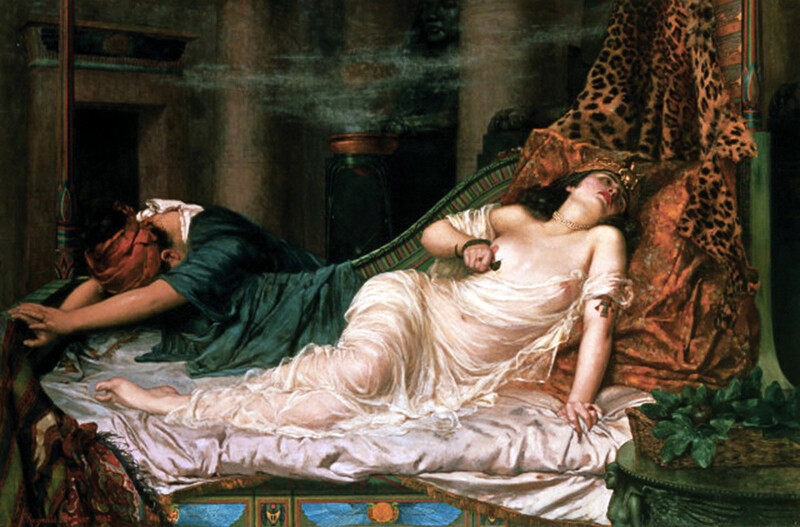 We All Know That Queen Cleopatra Died From Poisoning......Don't We? But can we be more specific? Take the Poll below first, and then see how many got it right by scrolling down to just below the "Emergency First Aid" paragraph, where you'll see the correct answer shown in the blue box. Poisonous plants can cause serious illness if eaten. These include a few varieties of mushrooms, seeds, bulbs, rhizomes and berries. Check and clear the airway. If the casualty is unconscious, check breathing and pulse, and be prepared to resuscitate if necessary. Place the casualty in the recovery position. The casualty may vomit. Assess the need to contact a medical practitioner or the emergency service. If in doubt, always contact the emergency service. - Try to identify the plant, and which part of it has been ingested. Keep samples of the plant, and any vomited material, to show the medical practitioner, or to send to hospital with the casualty. 16 August 2016 - Kirsten Mae Vining, 32, a wife and mother in Alabama, is accused of trying to kill her husband with Ricin poison. She was arrested on Friday and is being held on $50,000 bond. A BBC item about Minamata disease, named after the town in Japan where mercury poisoning affected people, and which has now been found elsewhere in the world. If you can't avoid skin contact, just make sure you wash your hands and any part of your body which has been in contact with a possibly poisonous substance. And don't put anything contaminated in your mouth. Don't scratch or rub your eyes or face if your hands have been in contact with suspect substances. Learning to recognize common poisonous plants in your garden can help you avoid dangers. Did you know that Hellebore, Oleander and Periwinkle or Vinca are poisonous? Learn about poisonous plants, how to avoid them, and how to prevent an unpleasant accident. From this list I can see that I will have to put a sign in my garden, "eat at your own risk"! 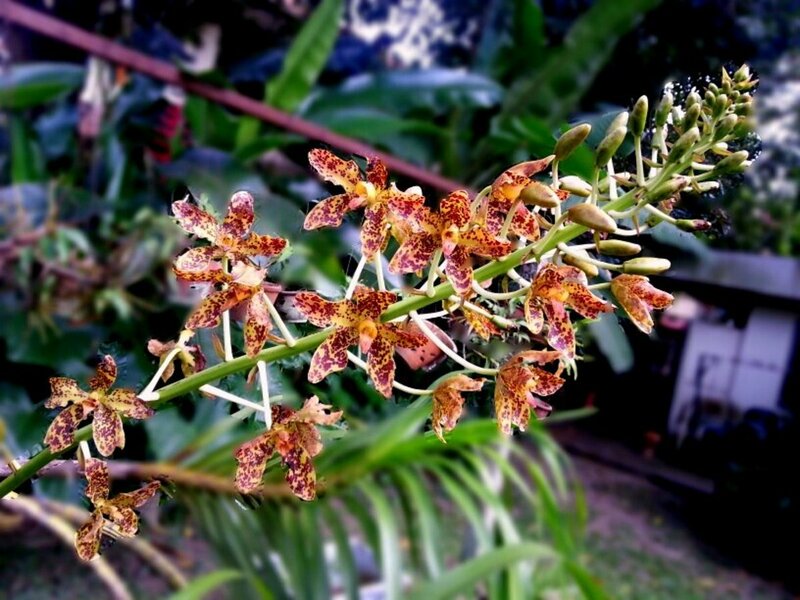 I did not know of the toxic quality of several of these plants, nor did I know that mere skin contact with the sap could cause toxic reactions, apart from more routine allergic reactions. Thank you for enlightening us. @toshia lm: : Thank you for your message which will be dealt with as soon as possible. @Raymond Eagar: : Thank you for your message which will be dealt with as soon as possible. Important lens - and that intro photo is awesome. 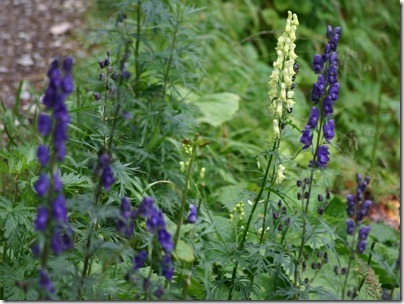 I knew that monkshood was poisonous, but not the other two. I love morning glories and grow them in my garden. Will view them with renewed respect from now on. Very nicely done, and lots of good advice on avoiding being poisoned! Excellent lens , lots of intersesting imformation, must admit that I did not realise that lupins were poisonous, but then I don't think I would be using the "beans". 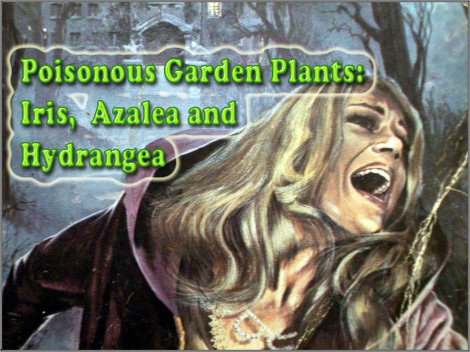 I do know of some poisonous garden plants which I have grown in the past and indeed still have in my garden. Isn't it interesting that many of our most prescribed medications come from poisonous plants? This is an important lens. And I love the photos. Great lens. I agree that more information should be put on the packaging of plants and seeds. I know that there are many poisonous plants, but I'm not which ones. Thanks for this useful information. I will take more care with choosing plants for my garden. This IS very important information. It should be put on the seed packets, I agree! I don't know if it was just a coincidence, but I picked some lily of the valley from the backyard of the "new" house and felt horrid for the entire afternoon. I stay away from them now, but thanks for the heads up on the others. Well this info sure is a wake up call. I have morning glories all over my yard. The good news is, I don't put my fingers in my mouth :) Apppreciate this article. They should list this on the package. Our neighbors whole back yard is swarming with morning glory. It keeps coming through the fence, wall, trees, plants. The home has been vacant for 6 months so it has taken over the place. I have kids and a dog that likes to eat plants. I have tried to remove some of it, but it makes me really itchy. Could that be the reason why I don't feel good when ripping them out by the handfuls? What should I do? I have to tell you I REALLY enjoyed this lens!! I just had no idea! Thank you. I tought my kids what flowers and seeds not to touch or eat from. They are there and thanks for this lens. Thanks for the heads up. We try to avoid poisonous plants in our garden. Wow thanks I learned something today! I didn't know morning glory was poisonous. Thanks for the heads up. I've tried Morning Glory before it's no joke. 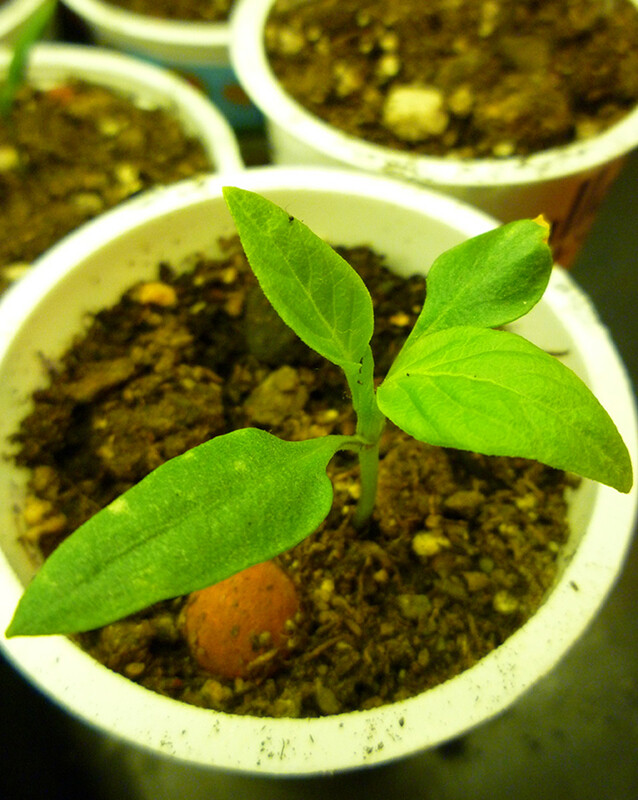 Hawaiian Baby Woodrose seeds are very similar to Morning Glory, they share the same effects. I learned my lesson great lens BTW. Very nice lens. 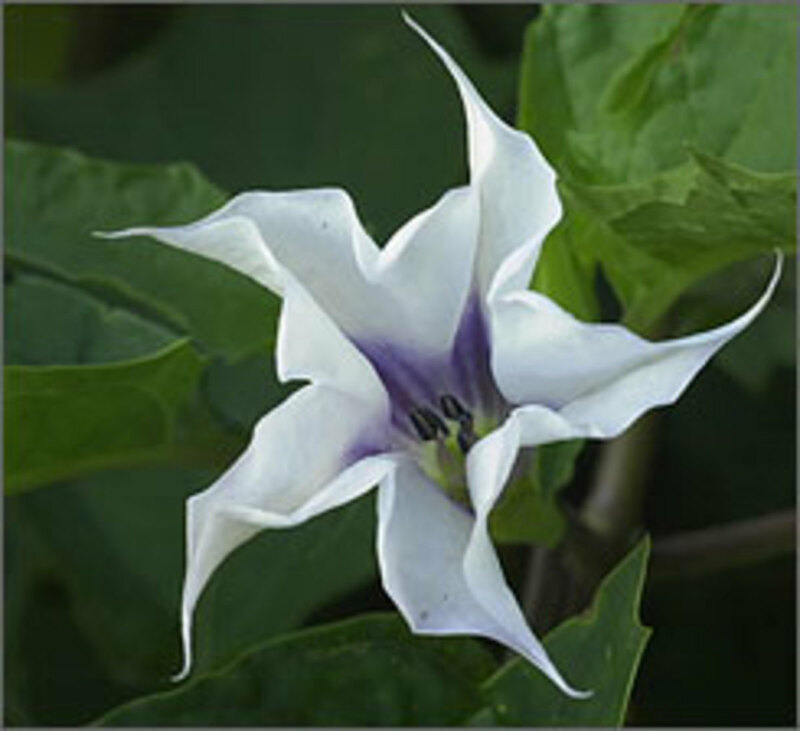 Hadn't realized that about the morning glory seeds; since they are related to sweet potatoes and the leaves and stems of of those are also eaten in some countries I was recently wondering if the leaves and blossoms of morning glories were also edible. enjoyed my visit on your lens, earned a 'thumbs up' from this reader. I have a bunch of morning glories growing up and down my driveway and I love to take pictures of them early in the morning. I had no idea they were even remotely poisonous. Wow... who knew... trippin' out on morning glories! I had no idea these plants were poisonous. Thanks for the education. Very interesting lens. All of your lenses in this series are spectacular! And this one is no disappointment. Good information! I had no idea MG and Lupines were poisonous.